Whenever I talk to a potential client for a yoga website, one of the first things I ask if he or she has professional images that we can use. I think (besides the obvious like your certification) a yoga photo shoot is the most important thing you need to get your yoga business up and rolling. 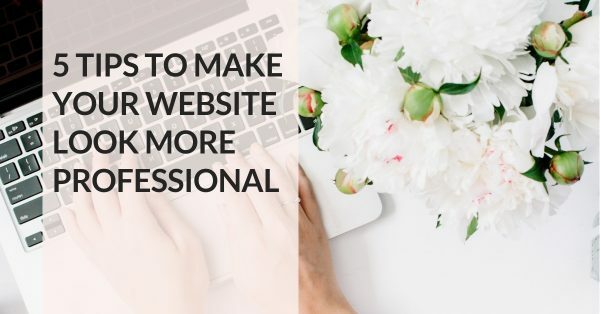 It’s more important than your logo or postcards or a fancy website design. Great pictures are the foundation for your brand and you really can’t underestimate the effect they have! You can try to take some pictures by yourself, awkwardly balancing your phone with some books, set a self-timer, and then race back to the yoga mat to get into the pose. Or you can ask a friend who has a camera to take some pictures. Unless your friend is a talented photographer and a yogi, this is not what you need. Investing in a professional photo shoot is the best way to get beautiful yoga pictures that you can use again and again. 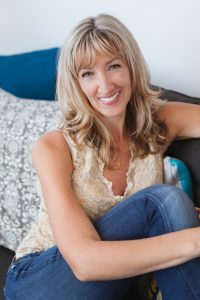 I asked renowned yoga photographer Heather Bonker for her best tips to get the most out of a professional photo shooting. Heather is my favorite yoga photographerin the world and she took all the pictures of me that you see on this website and the photo shoot with her was one of the best investments in my business. You can check out her portfolio here and if you’re ever in Abu Dhabi or Dubai definitely book a session with her! My number one tip for a yoga photo shoot is to just do it! So many yogis are intimidated to be in front of the camera or are waiting for their practice to be “even deeper” when in reality the energy they transmit from being themselves is way more important than being one more centimeter deeper in their back bends. Of course, some poses showing off strength, balance, flexibility etc. can be beautiful, but even the simplest of poses can translate into a wonderful image. So, my advice would be to make it happen and book your yoga photo shoot as soon as reasonably possible! If one has the opportunity to pick a yoga photographer, then that’s highly recommended so that they can guide you with accurate suggestions. I’ve heard from many who’ve used talented professional photographers from other specialties, but when they got the photos back they cringed that their alignment was off and/or the pose just didn’t look right. If you don’t have a photographer that specializes in yoga photography, then at the very least bring along a good yoga friend that can be behind the photographer for some guidance. A professional yoga photo shoot can be a big investment and to get the most out of it, you need to prepare. Collect examples of pictures that you like (both for general aesthetics and for specific poses) and share them with your photographer. 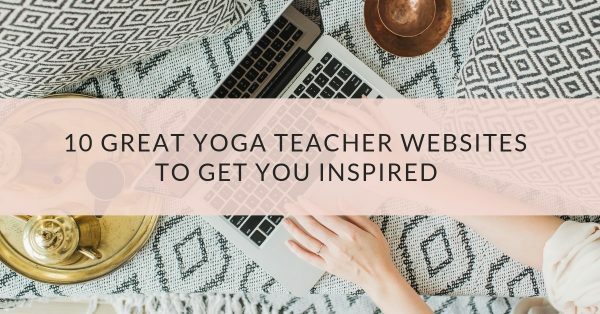 A great start is this Pinterest board I created and where I collected my favorite yoga shoots as inspiration! Then consider what you are going to use the images for. 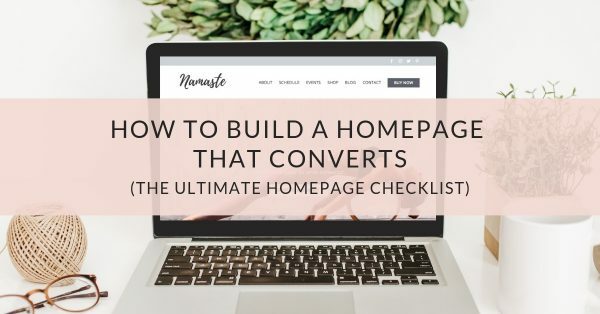 For example, for a website you might need some header images, a portrait photo for your contact page and some more photos of you doing yoga for your about page. Header images are normally much wider than the normal photo format and you’ll need to be able to cut your images at the top and or bottom. This is something that you need to communicate top your photographer and maybe even share some examples. 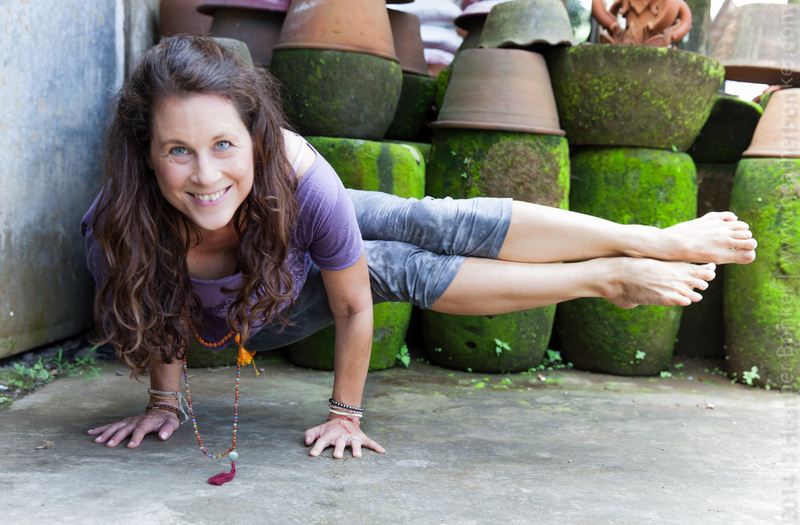 Even though it’s a yoga shoot, be sure to ask the photographer to get some head shots in there. You’ll be able to use them for example on your contact page, to share when you’re guest blogging or on your social media profiles. Bring different outfits and use other images that you like as a reference for what you think looks good. Typically form fitting clothing looks better than loose and baggy since you’ll lose shape in poses and look much larger than you are. Consider accessorizing more than you normally do and again refer to the images you like and see what others are wearing. Even if you don’t wear make-up normally, consider getting a professional to do your make up. If that’s beyond your budget then still be sure to spend some time doing your make-up. And yes, it should be heavier than your everyday make-up since the camera tends to wash the face out. Have fun on your yoga photo shoot! Once you get shooting it’s likely the time will be gone before you know it and you’ll want to keep shooting for longer and wondering what all the nervous fuss was about. Looking for more inspiration? 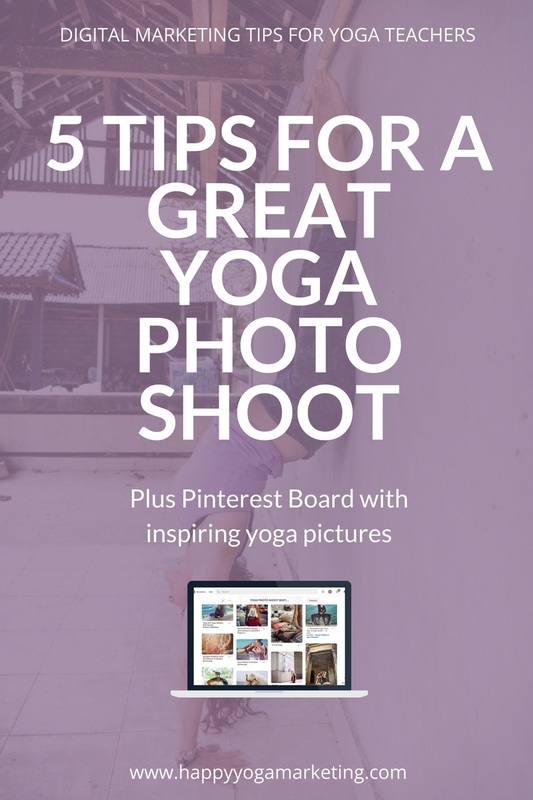 Check out my board full of yoga photo shoot inspiration on Pinterest.